Literary Arts seeks two interns to assist at @Literary Arts events at our downtown center. Applicants from diverse backgrounds are encouraged to apply. Internships are four months, from January – April, 2018. These internships will provide practical, hands-on experience in the areas of non-profit arts administration, event production and planning, and writing for social media. Literary Arts is a community based non-profit. Our mission is to engage readers, support writers, and inspire the next generation with great literature. @Literary Arts events are free literary events at our downtown literary center at 925 SW Washington, often produced in collaboration with other organizations. 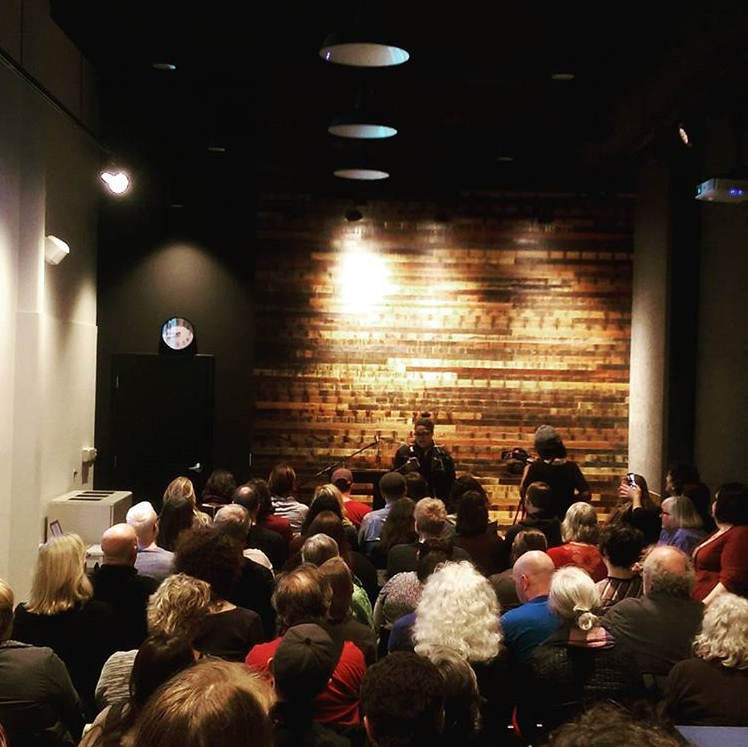 In the past year, we’ve partnered with organizations like PDX Jazz, Unchaste Readers, Oregon Symphony and Milagro Theater to present readings, panel discussions and other literary events. Event interns will work several evening events at Literary Arts from January – April, 2018. Event intern hours are 6:00 to 10:00 p.m. COMPENSATION: This internship includes a small honorarium, awarded at the end of the internship.We also offer paid internships to students eligible for work/study; we are also happy to work with students who are able to earn credits. We also offer tickets to Literary Arts events (as available). APPLICATION DEADLINE: Wednesday, December 20. In your cover letter: tell us a bit about yourself and your education and/or career goals. Tell us of your interest in and qualifications for the internship.